The week before last a box containing a shoebox of photos, many loose, toddler mixed with teen and my twenties, plus my baby book, arrived via UPS. Possibly because there have been Thursdays where I’ve semi-publicly bemoaned my lack of photos on Facebook, possibly because my mom is moving (though keeping her current residence, a manufactured–not mobile, as she points out–home at the Oregon Coast) and was coming across old things while packing. A lot of these photos are mine, like when I went to France for a month between junior and senior years of high school or visited NYC for the first time after graduating college, so this isn’t odd to me but I have no sense of tradition. My sister commented that parents keep such mementos until death. I don’t know, do they? My point is mostly that I became nostalgic and narcissistic for a day and a half, pawing through them all rather than focus on forward-looking projects. One unexpected conclusion was that I don’t look so horrible now. The newish boyfriend recently mentioned he’d seen a video of himself and couldn’t handle how old and fat he looked. My reaction to some of these older photos was that I was chunkier than I remembered (though not consistently) perhaps emphasized by poor style choices. I did not mourn my youth. I used to think my newborn photo was all sourpuss and unfortunate, but now I see it as alert and scheming. I knew what was up 28 minutes into it all. There are definitely some puffy upper eyes and under creases, which have reappeared to remind me where I came from. I look more like a newborn now than I ever have. 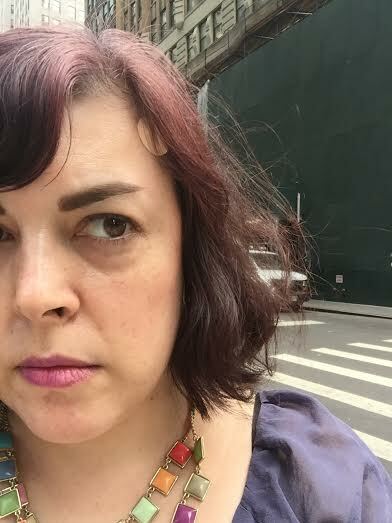 I made my first-ever skin screening appointment because I have a mildly suspicious mole on my back that I was told to get checked out when I first got health insurance in NYC in 1999. I’m the world’s biggest shut-in sun-avoider so of course you know it’s probably malignant. I didn’t think they were going to do biopsies on the spot, though, including one on my hairline on a tiny gray smudge I always assumed was a scar, like the type you’d get when kids would jam into your flesh with #2 pencils for entertainment. While there, I caved and asked about tear trough fillers because now that I’ve had my first dermatologist visit at 43 I may as just go wild, medical-to cosmetic in a matter of months. No, I’m going to hold off to 45 and see how I feel, not so much because I hate needles (I do) or have mixed feelings on aging and beauty standards (duh) but because I can think of many better uses of ~$1,000 this year (and have been semi-seriously trying to determine what it would take to survive as a freelancer–wish I had more hustle). That’s not undereye darkness (upon closer inspection and after seeing a photo taken Monday, I think it is and I’m now getting a secondary crease that shows up more strongly when I’m tired and/or have too much to drink) by the way, but mascara smudges, which have been plaguing me the past few years and never used to. I thought the solution would be simple. I bought semi-waterproof Benefit at the beginning of the year. Still smudged. Finally broke down and bought top-rated Buxom, which I’d avoided because I don’t want to use a separate cleaner. Still smudged. I don’t even wear heavy mascara, one-coat, by the time I get to work in the morning there it is under my eyes. I was at a 4th of July party for a solid 20 minutes, after sweating and getting lightly rained on along the way, before I looked in a mirror and noticed black streaks under my eyes. No one said anything, which I can’t decide is rude or polite. This is one of the world’s mysteries on par with how the backs of the heels of any pumps get destroyed after two wearings. In 6th grade our teacher Mrs. Musmansky had spots under one of her eyes, not raised moles or brown freckles, like melasma but dark, and kids, at least in the beginning, would tell her her makeup was smeared. It must’ve sucked to have eleven-year-olds always telling you your mascara was running, but at least someone cared. 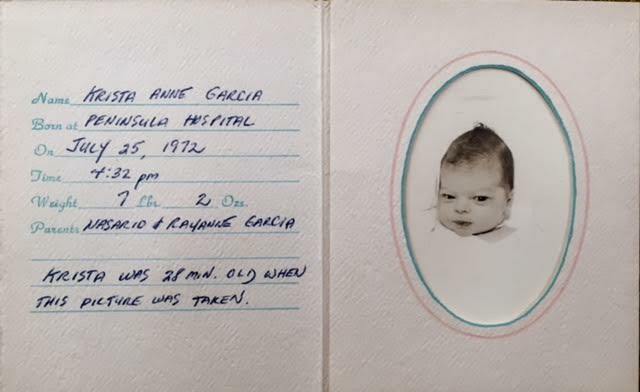 Curious to see if she still existed, I ended up finding a photo of her via a grandson’s Facebook page. She’s probably in her 70s now, looking pretty good, but most importantly, she doesn’t have any spots on her face! Now, that’s a mystery that’s going to keep me up at night.